When challenged to come up with a beef or lamb recipe that can be cooked in less than 30 minutes for the #MeatMatters campaign my brain went into overdrive. I have to admit that we eat quite a bit of meat in this household. The idea of going vegetarian would be met with looks of horror from the kids and my husband! I’m therefore used to coming up with quite a lot of different ways to serve them. I regularly throw them into the slow cooker so that we can have something ready when we get home from work or school. They may take less than 30 minutes of my involvement, but I can’t really class them as meals that are ready in less then thirty minutes. I put my thinking cap on and was simultaneously trying to think of something for dinner that night which would be very quick to cook as we needed to squeeze a meal in between picking kids from school, my husband getting in from work and then driving to the neighbouring county to drop Little Miss C off at Cub Camp for the weekend. Life in this family runs at 100mph and during the week meals need to be either ready in advance, or speedy enough that the kids don’t raid the snack cupboard whilst I’m getting ready. 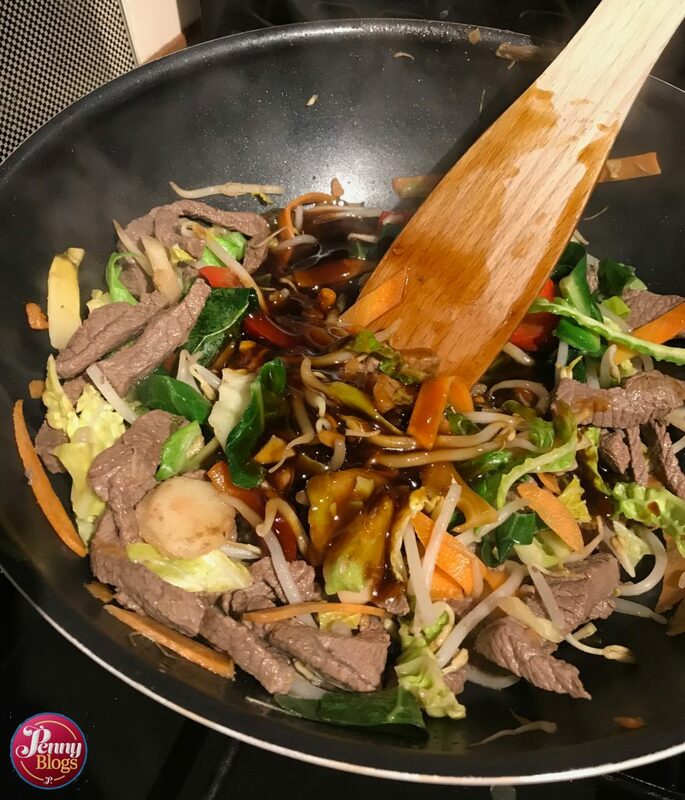 A quick stir-fry is often the answer. 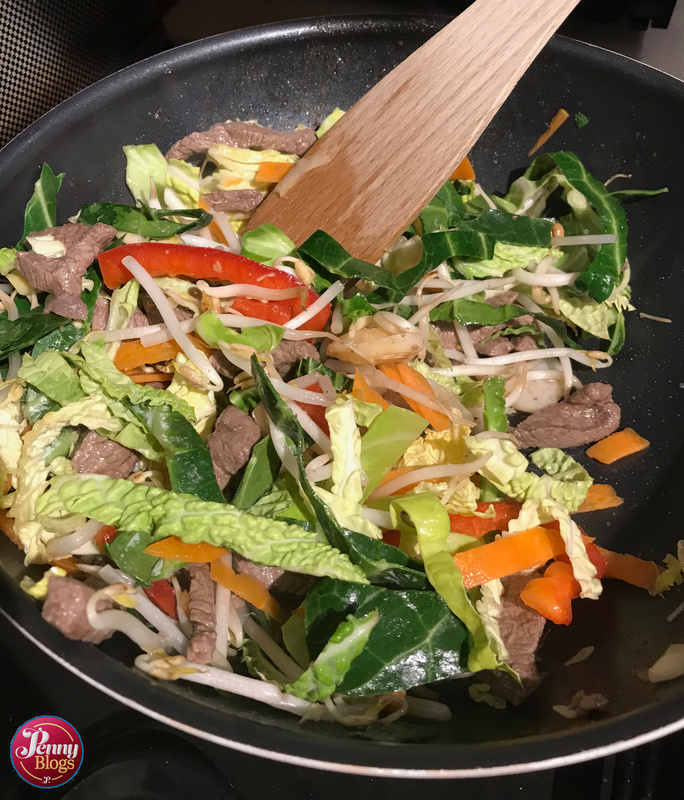 Incredibly quick to cook, rich in protein from the meat, colourful from the vegetables and yummy to eat too! 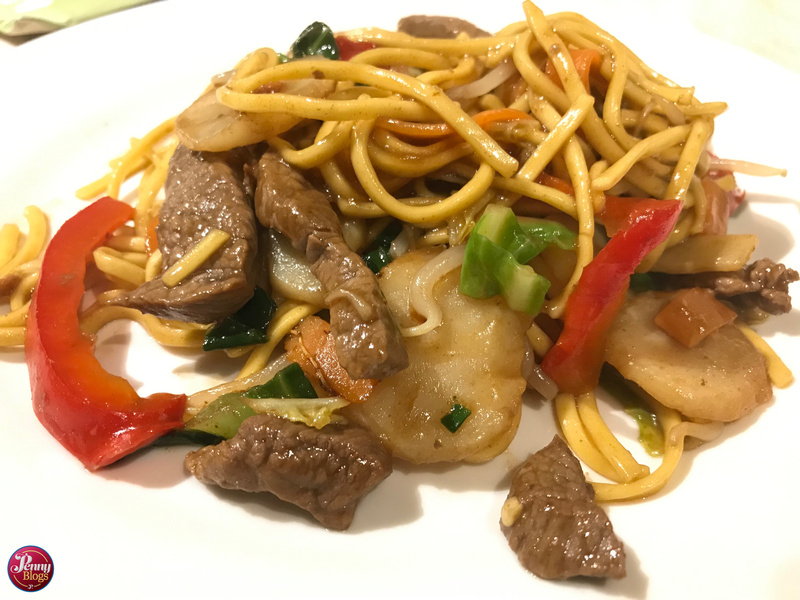 That’s why I decided to do a simple stir fry for the #MeatMatters challenge. You really only need a handful of ingredients, and supermarkets make it so easy that even if you’re not a regular cook you can’t muck this one up. To start, put a splash of oil in your wok and put it on a high heat. Once heated up add the beef to the wok and keep moving it around the pan until it is browned all over. Add the vegetables and again stir fry in the wok until cooked to your liking. Add the sauce that you are using and make sure that everything in the pan in covered. 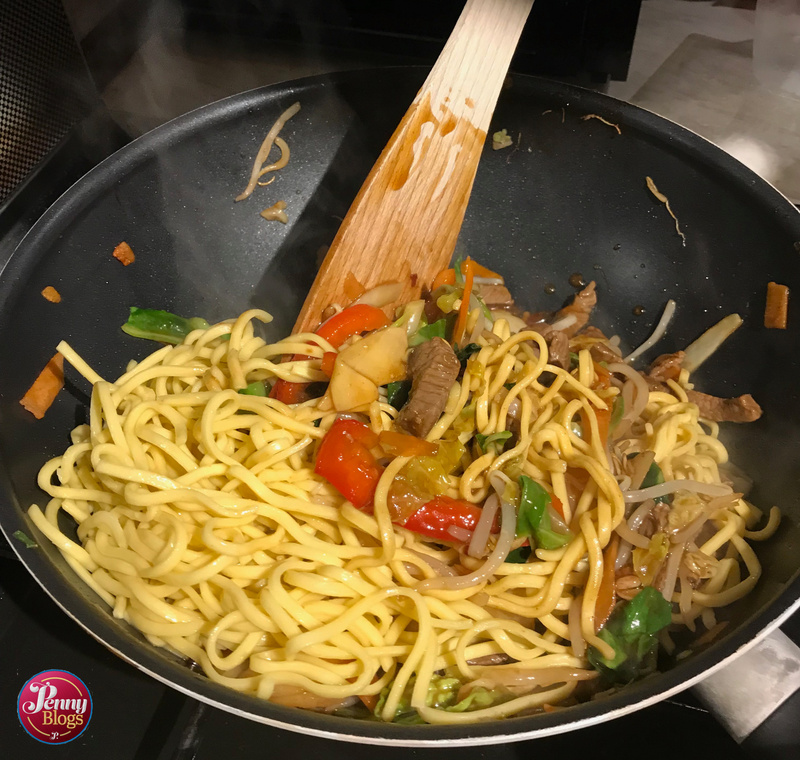 Finally, add the straight to wok noodles. Follow the packet instructions, but these often only take about three to five minutes to cook, depending on the exact ones you are using. Ta-dah! One bright and colourful, healthy dinner that has only taken minutes to make. There’s so much in the press about the benefits of eating vegetables, but there’s a reason that a balance of meat has been part of our the human diet. 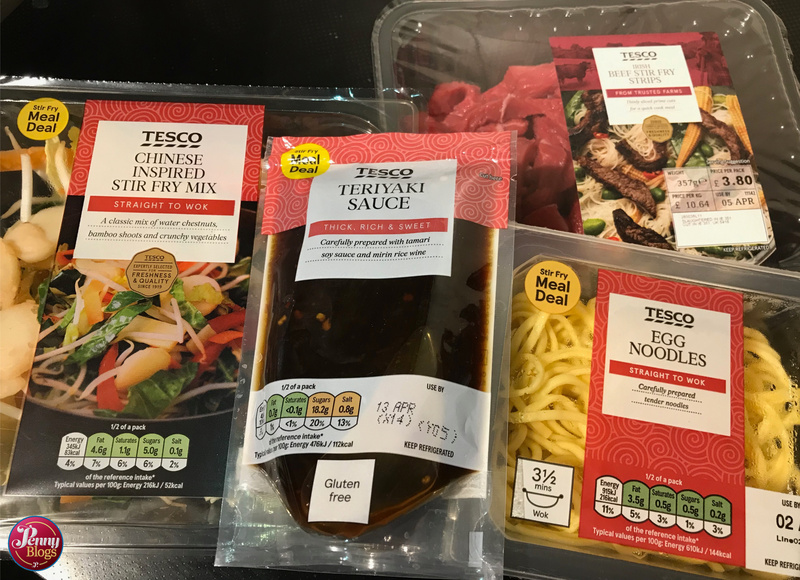 Beef and lamb are naturally rich in protein. Beef is also a source of iron, which helps to reduce tiredness and fatigue. I’ve been iron deficient before, during and after pregnancy, and it’s no fun at all. Beef also provides seven other essential vitamins and minerals that support good health and well-being in addition to the iron – niacin, vitamins B6 and B1, riboflavin, zinc, potassium and phosphorus. 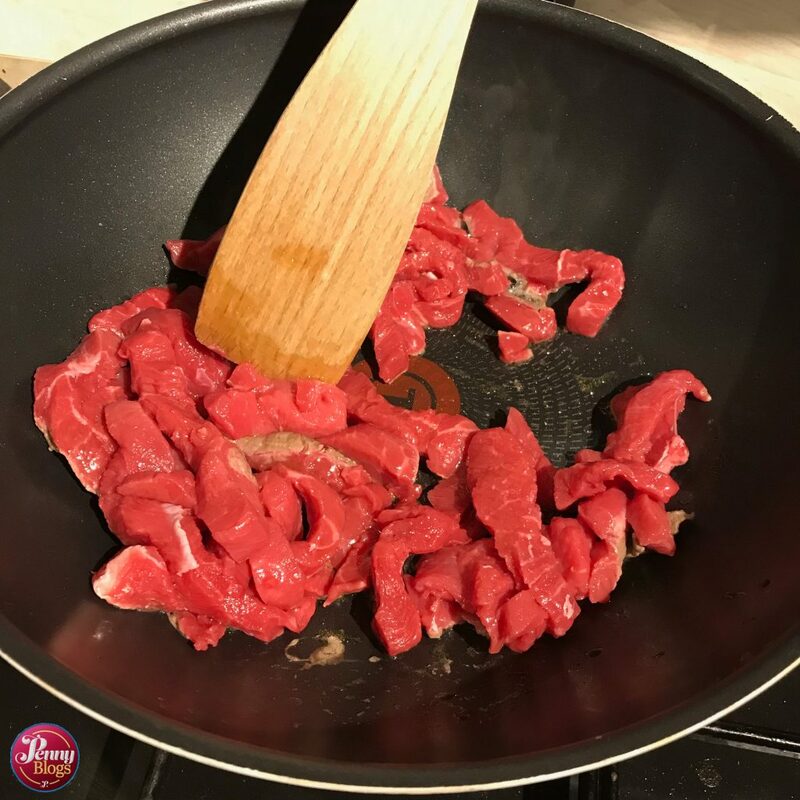 It makes sense to have beef and lamb as part of a healthy balanced diet and it helps when there are so many delicious recipes to create with them too.